FORBES MINI SKETCHES 1991 are analog photo collages shot on color negative film and assembled from 1-Hour Photo prints. 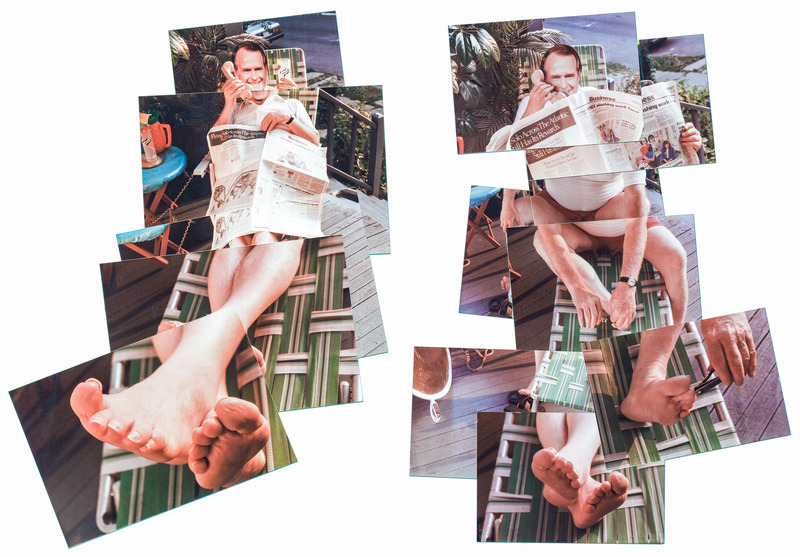 They are extra preliminary sketches for Poolside With Bush, part of a series of parody artworks representing then POTUS George H. W. Bush, commissioned by Forbes Magazine / Isley Design, and published in 1991. Main sketch here. Final art here.